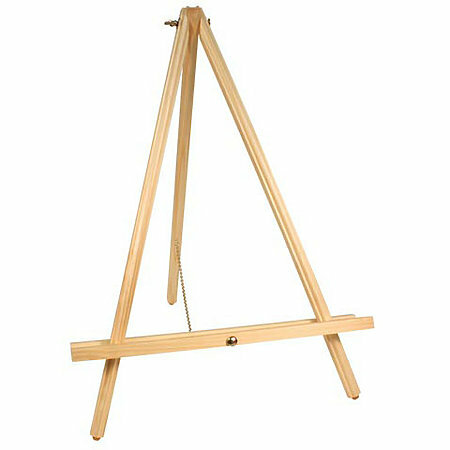 This light-weight table tripod easel is constructed of hand-finished hardwood and folds up easily for transport and storage. A leg chain provides stability and rubber-tipped feet protect your table surface. At 22" high, it weighs a mere 1 lb.